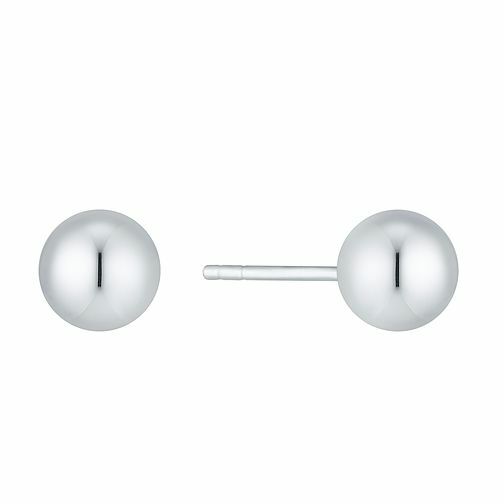 An easy to wear pair of 7mm ball stud earrings, crafted in chic sterling silver for a fresh, modern feel. A versatile accessory that's a jewellery box essential. Sterling Silver 7mm Ball Stud Earrings is rated 5.0 out of 5 by 2. Rated 5 out of 5 by Anonymous from Lovely earings good quality Nice silver studs. As described.just the right size quick delivery. Rated 5 out of 5 by Anonymous from Excellent gift Simple and stylish, perfect for a discerning woman of any age.